Mu mesons (or muons) are unstable particles, produced when protons from the Sun are absorbed in the atmosphere. They travel typically at ~99% the speed of light: v = 0.99 c. A muon has a certain lifetime, after which it disintegrates into something else. One may think that the lifetime should be something fixed and unique to the particle. It is, provided the observer measuring the lifetime is moving with the muon. Otherwise it depends on its velocity relative to that of the observer. Observers at rest w.r.t. the muons measure the average lifetime to be ~2.2 milliseconds (ms). But observers on Earth measure the lifetime of the moving muon to be ~15.6 ms. Strange but true. Einstein’s SPECIAL THEORY OF RELATIVITY explains such results. Newton laid the foundations of classical mechanics in the 17th century. His monumental Principia enunciated simple laws of motion. These laws, when augmented by Newton’s law of gravitation, dominated physics for the next 200 years. He assumed the existence of absolute space; space that is immovable and similar everywhere and at all times. He also presumed that gravitational interaction between any two bodies is instantaneous; that is, its speed of travel is infinite. Maxwell’s theory of classical electrodynamics, formulated in 1864, extended Newtonian classical mechanics to account for the motion of charged particles in electric and magnetic fields. Modern communication technology and information technology and much else is governed by the celebrated Maxwell equations. The beginning of the 20th century saw the sharpening of challenges to the existing edifice of theoretical physics based on Newton’s laws and Maxwell’s equations. The first challenge was to the concept of ether, a hypothetical medium assumed to be necessary for the propagation of electromagnetic waves. From such a presumption it followed that, observed from the Earth, light from different extra-terrestrial sources must travel at different speeds. But Michelson’s famous interferometric experiment showed in 1887 that the observed speed of light does not depend on its direction with respect to the direction in which the Earth is moving. Thus the postulation of ether as a medium at rest in the universe did not serve any sensible purpose, and the idea was abandoned. Electromagnetic waves travel in empty space; there is no ether anywhere. The laws of physics are the same for all observers in uniform (i.e. constant-velocity) motion relative to one another; this is the PRINCIPLE OF RELATIVITY. The speed of light in vacuum is the same for all observers, regardless of their relative motion or of the motion of the source of the light. LENGTH CONTRACTION: Objects get shortened in the direction they are moving w.r.t. the observer. MASS-ENERGY EQUIVALENCE: E = mc2; thus energy (E) and mass (m) are interconvertible, related by the square of the speed of light in vacuum (c). FINITENESS OF MAXIMUM POSSIBLE SPEED: No physical object, message or field can travel faster than the speed of light. However, predictions of the theory become significant only for speeds comparable to the speed of light, which is ~3 x 108 meters/second. Unlike the Newtonian concept of absolute time which does not change from one frame of reference to another, space and time cannot be distinguished in this theory, and must be treated as a unified spacetime. Two observers moving relative to one another at a constant velocity would observe the same laws of Nature in action. One of these observers, however, might record two events on distant stars as having occurred simultaneously, while the other observer would find that one had occurred before the other. Simultaneity does not exist for distant events. In other words, it is not possible to specify uniquely the time when an event occurs, without a frame of reference. The ‘distance’ or ‘interval’ between any two events can be described only by means of a combination of space and time, and not by either of them separately. The spacetime of four dimensions (three for space and one for time) in which all events occur is the spacetime continuum. Relativity became the premier guiding force in twentieth-century thought and art also: No independent absolute value exists, but rather truth is meaningful or significant only in a given context and time. Ditto for moral decisions. The relativity idea had a profound effect on artists, authors and musicians, and many new styles of literature, art, and music emerged in the early twentieth century. 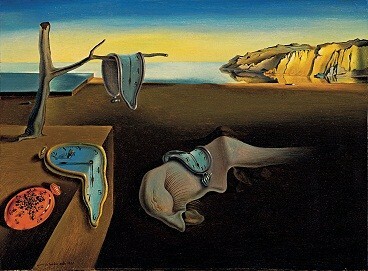 The above painting (‘The Persistence of Memory‘) is by Salvador Dali. As Dawn Ades wrote about it: ‘The soft watches are an unconscious symbol of the relativity of space and time, a Surrealist meditation on the collapse of our notions of a fixed cosmic order’. Time seems to have stopped; a time interval of, say, one second, will extend to infinity if an identical watch were travelling at the speed of light. Time seems to have stopped; a time interval of, say, one second, will extend to infinity if an identical watch were travelling at the speed of light. There is SINGLE race called human beings. May somebody show the magnificence of the above sentence in this respect? The author might perhaps like to clarify, but it seems the sentence quoted above is meant to only describe how the public discourse on relativity seems to have given a fillip to relativism. So, the sentence is only descriptive of a worldview that gained popularity in the twentieth century and continues to be influential, and not prescriptive about our conduct today. As Prof. Dawkins explains briefly here, to think that Relativity somehow implies and enjoins relativism or postmodernism, is a non-sequitur. It is hard to deny though that even near-universally acknowledged notions like that of human rights, were so acknowledged largely thanks to a certain historical context, as discussed at length here. In most Nirmukta discussions on the topic, ethical positions are by no means radically relativist, but are conceptualized in an intersubjective setting . A naturalistic worldview devoid of assumptions like baggage from previous births, seems more compatible with egalitarianism than more religiously motivated worldviews which always seem to involve some notion of a ‘chosen people’ (and by consequence, some ‘condemned ones’). Arvind has said it all. There is no need for me to add anything more. We must distinguish between relativity and relativism. If that is the case what is the how do you clarify your statement //Ditto for moral decisions//? Relativity theory is science. Relativism is only a philosophy. You are welcome to your philosophy, I to mine. 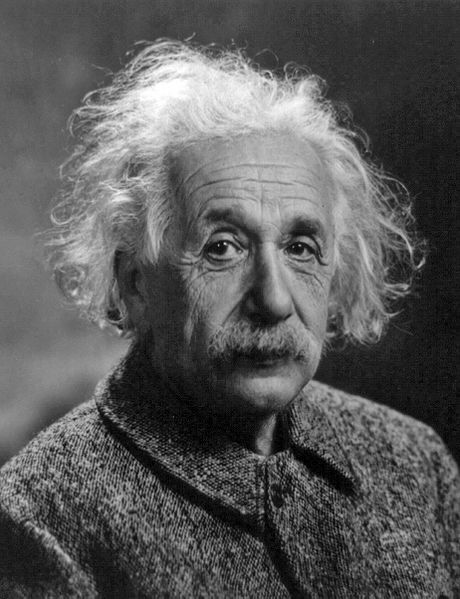 In any case, I have only described a line of thinking that emerged after Einstein’s work. Not everybody has to agree to this philosophy. If that is the case how do you clarify your statement //Ditto for moral decisions//? Delete this comment then, apologies. The issue is with the ‘ditto’. Scientific claims are required to be falsifiable and moral decisions include value premises which cannot be treated the same way. This distinction between factual propositions and value premises is clarified here. Any ‘ditto’ interposed between them is untenable. Failure to recognize the distinction results in false equivalences between relativity and relativism, and such cringeworthy misconceptions like the Solferino fallacy.